Morrisa Jeanine is an all arounder in entertainment whose music career publicly kicked off as a youtube sensation back in 2006. 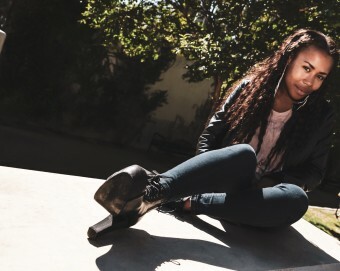 Coming from many girl groups the BMI singer-songwriter has made her wave as an individual in the music industry both by writing for upcoming acts as well as vocal producing and referencing the music. In 2012, with the release of her first solo project; Morrisa Jeanine made a change by coming from behind the scenes songwriting to becoming one of many spotlighted artist. Based out of Atlanta,Ga Morrisa Jeanine has been featured in many concert series and independent showcases. With international success on her digital releases such as; "Dirty Ol' Clothes", "Out The Game", "Real Simple" and most recently "Standing" ; Morrisa is soon scheduled to premiere a full debut album.